Austin-based automotive design and manufacturing company Ronn Motor’s has built the Scorpion; a hydrogen fuel injected hybrid. The vehicle utilizes new ‘hydrogen on demand’ technology, which, simply put, generates water from the inbuilt tank, turns it into hydrogen and then injects this into the car’s system. Not only does this approach allow fuel mileage to increase by between 20 to 40%, it also reduces carbon emissions to nearly zero. Couple this with its exclusive styling, and the Scorpion is sure to be a strong contender in the exotic performance car segment. 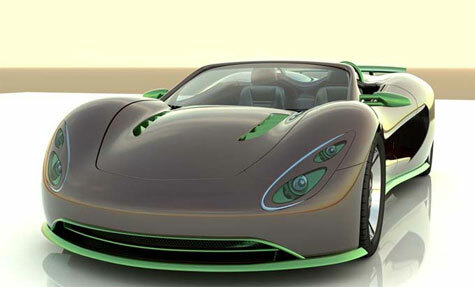 Ronn Motor Company is blending the world of exotic performance cars with eco friendly fuel solutions with its first car, the Scorpion. Exclusive styling and uncompromising performance engineering will deiver the ultimate driving and ownership experience.